Good green fences made with trees make really good neighbors. With the right privacy trees, you can create a peaceful retreat for yourself and your neighbors. Trees can do more than just block the view of your neighbor’s yard, er, junkyard. If you live on a busy street, trees can act as a buffer to insulate your house from the noise. When functioning as windbreaks, trees can help lower energy bills by 20-30%. When choosing trees, consider the size of your property. For small spaces, very large trees may be out of scale, so smaller trees may be a better fit. Also, consider how wide and tall you’d like your privacy screen to be. 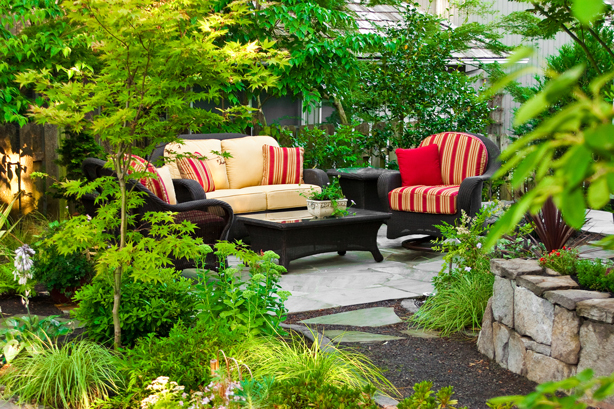 To create privacy in a patio setting, look for skinny, tall trees or plants that you can grow in containers. 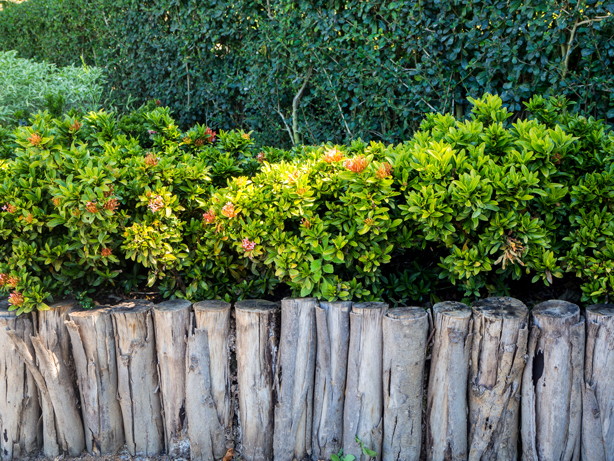 There are several beautiful privacy trees you can grow in containers or in the ground, such as Roebelenii Pygmy Date Palm, Fiddle Leaf Fig Bush, and Arborvitae DeGroot’s Spires. Location matters in real estate and when planting trees. Will your selected area have full sun or is it mostly in shade? Some trees thrive in the sunshine, while others don’t like it as much. We live in a culture that values instant gratification. In a matter of seconds, we can reach someone across the globe, receive a delivery within an hour, send a package cross-country overnight. Think about how quickly you want your trees to grow. 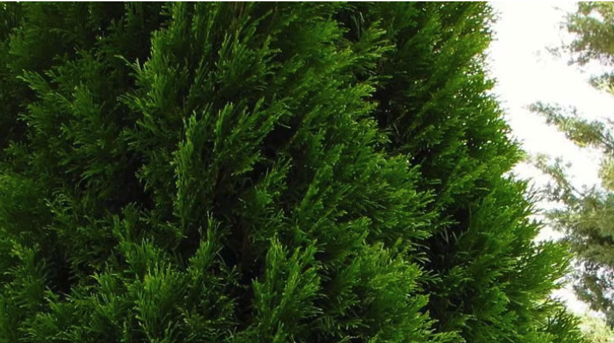 Emerald Green Arborvitae is a fast-growing privacy tree that grows to a width of only four-to-six-feet. If looking for year-round screening, think evergreens. Small evergreen trees are perfect for urban dwellers since they are relatively easy to maintain and aren’t messy. If you live in an area that often experiences extreme heat or drought, plant trees that can survive those conditions, such as a Blue Point Juniper. To add a stylish touch, trim the juniper into a spiral form. Have you got ample time to keep your trees looking fabulous or does your busy lifestyle require low maintenance varieties? There are evergreens for every size outdoor space and lifestyle. 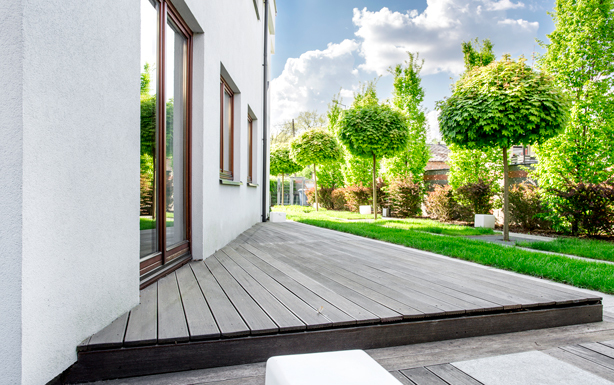 In addition to providing natural privacy screening that stays green all year, the trees can help reduce noise, offer shade to reduce energy bills, block out wind, and are generally easy to maintain. 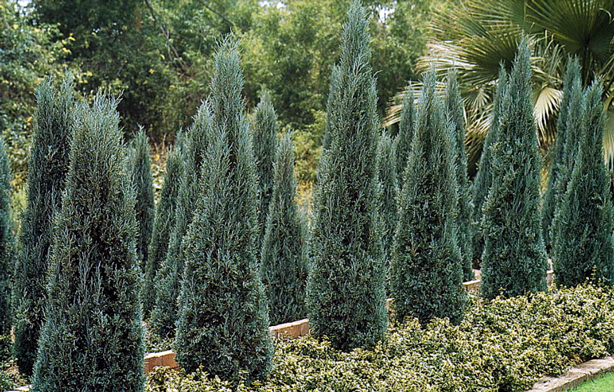 • Leyland Cypresses are hardy and can reach up to 40 feet tall. • Emerald Green Arborvitaes are dense and fast-growing evergreens. 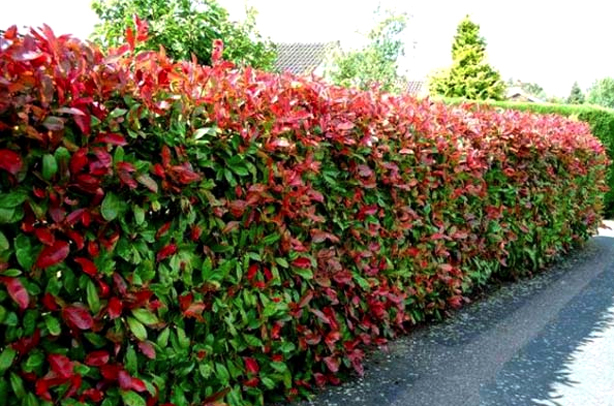 • The Red-tipped Photinia will add a colorful splash to a small yard and can grow up to 12 feet tall. Either way, consider the overall design of your space when planning your living privacy screen. 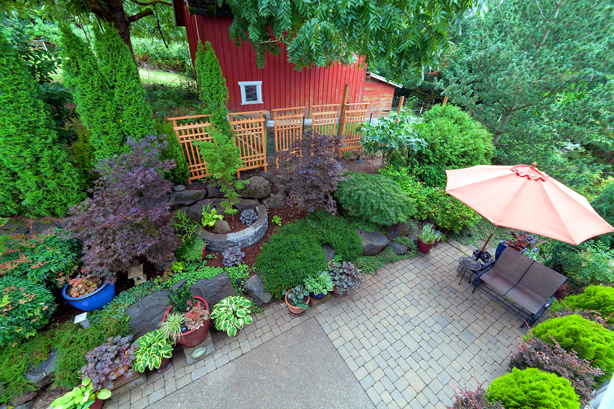 If you have a square footage deficit, dividing the space with one or more trees. Even one tree in a container can turn a single space into two; one for dining, the other for lounging. Use trees to define particular areas within your property. Establish various “outdoor rooms” designated for different activities such as outdoor cooking and dining, lounging and entertaining, or perhaps a private relaxation area (think hammock strung between two trees.) Planting small evergreens as partitions in a garden, or even on a balcony, will do more than divide spaces, it will enable multiple living experiences. Because they maintain their color even in the dark days of winter, evergreen trees in ancient lore were symbolic of many human-like characteristics, including strength, revitalization, immortality, determination and revitalization…and they make great neighbors. Photos via Garden Good Direct.